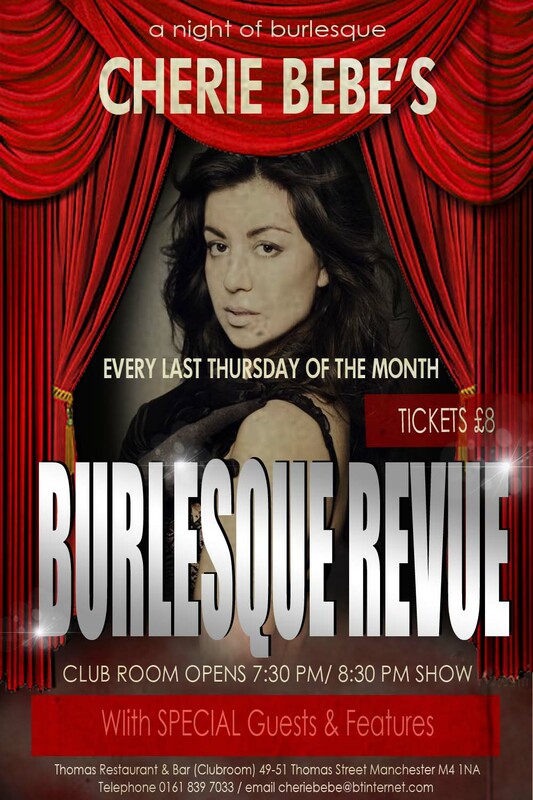 Burlesque, live music and a freak show! Tickets are £8 / £5 if dining at Thomas and there are meal offers and drinks discounts on the evening. Show starts at 8:30pm in the Clubroom (Clubroom doors open at 8pm).